Directions: Go south on Clover Street, cross the NYS Thruway, enter the park (turn left) at the first entrance. The lodge is 1/2 mile on the left. Fires will be stoked up at 5:30pm, although the lodge is ours from 1:00pm on. Rain or shine, the lodge will be fine! 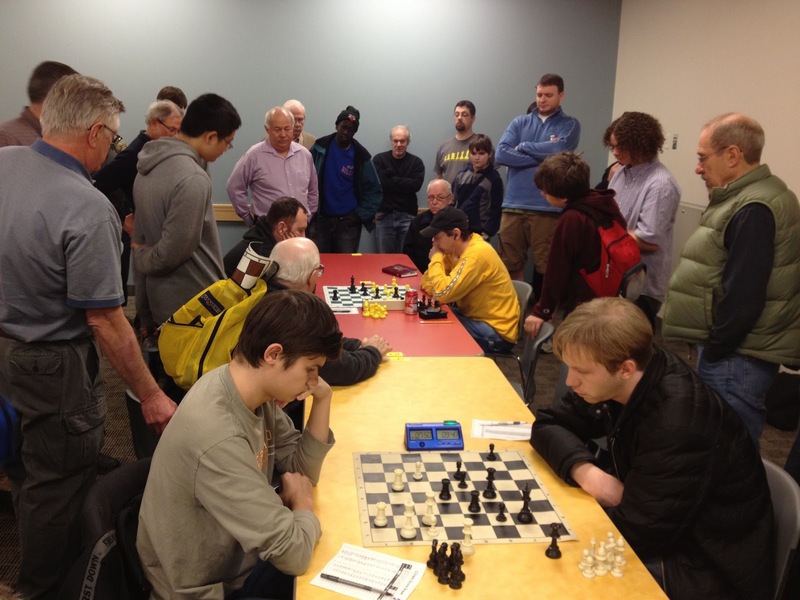 The Rochester Chess Center provides the Chess Sets, soft drinks, and charcoal. Bring your own food to grill, plates, silverware, and sports equipment. This is a communal event, so please bring a dish to share. Last name A to M please bring a salad to pass, N to Z please bring a desert to share. Of course if you have that very special picnic goodie you always make, please bring that along instead. $2 per person, $5 maximum per family. 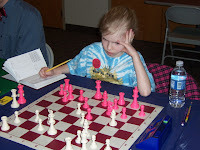 Picnic is free to Chess Center members and their families. SUMMER CHESS CAMP at the Rochester Chess Center! 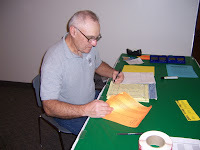 Camp is available to students age 5-13 years. All skill levels from beginner to advanced are encouraged to attend. 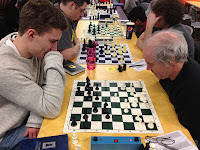 Beginners who arrive without any knowledge of the game will become proficient players from their camp experience; advanced players benefit from sharing classes and experience with some of the top scholastic players in the USA. 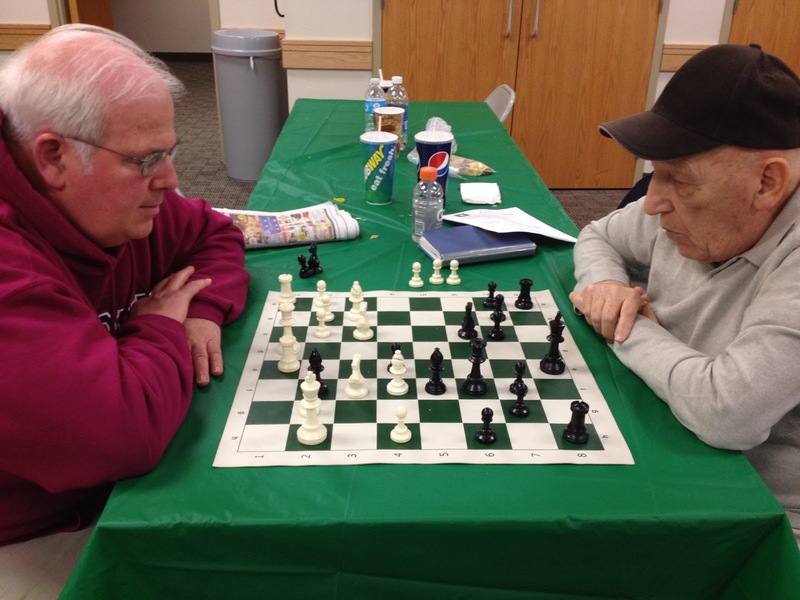 Rochester Chess Center is located near Cobbs Hill Park, at 221 Norris Drive. There will be daily outings to the park for seasonal activities (Frisbee, soccer, hiking)... so dress for outdoor action. 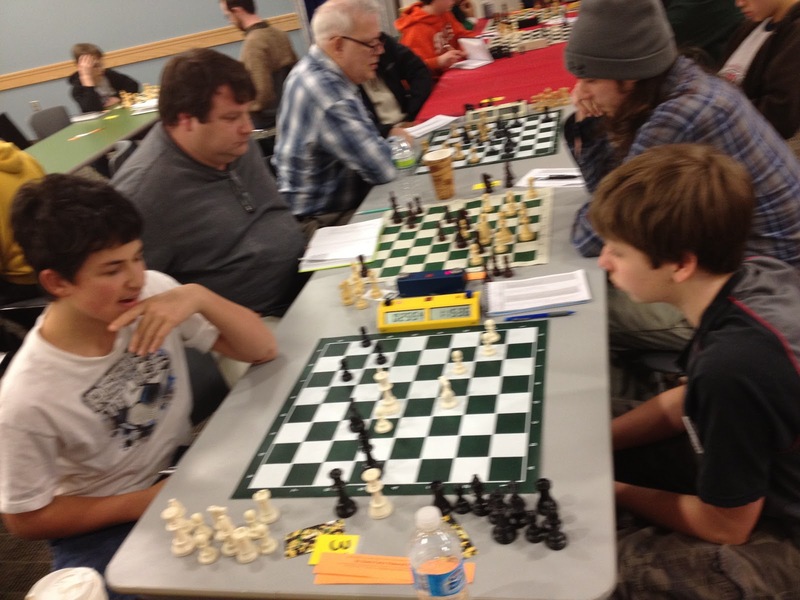 Chess Center membership is $95 (or $155 for the Family membership) for 12 months. Benefits include discounts on camps, lessons, equipment, and snack bar and family picnic. 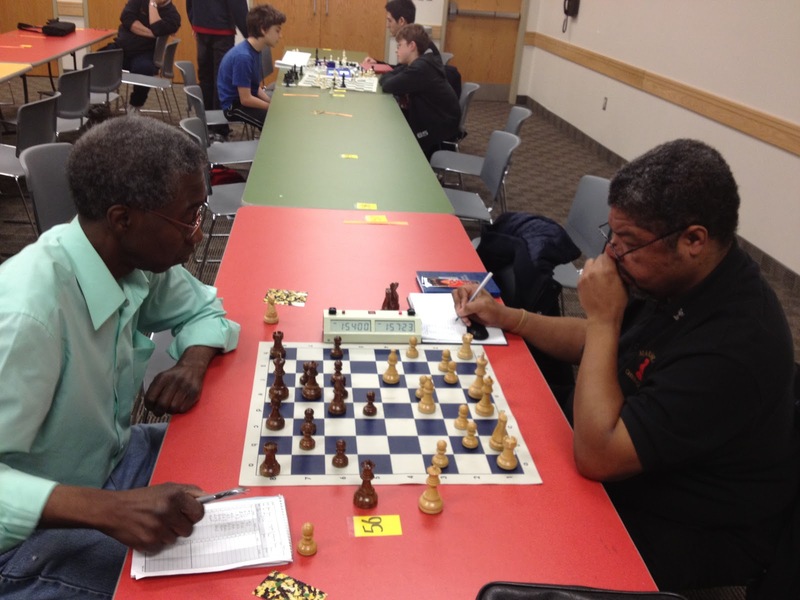 Of course, your membership also is important in supporting Rochester area chess promotion. 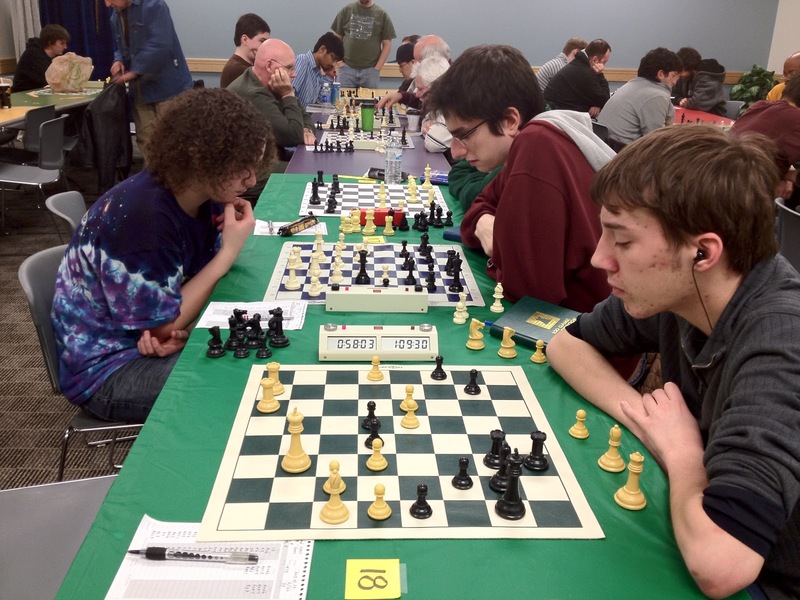 We have chess instruction programs at 57 schools and the Interscholastic Chess League has 48 teams (www.nychess.org). Your friends will be here!! We alow for early drop-off (as early as 8am) and late pick-up (as late at 5:30pm) at no extra cost! 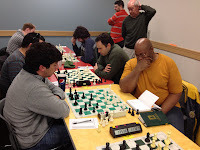 Enclosed Deposit (50% of fee)_________ Check payable to "Rochester Chess Center"
took place on April 27th 2013 at the SUNY Geneseo Campus in Geneseo, New York. with 2.5 points to win the U1800 prize; John had 2 points. 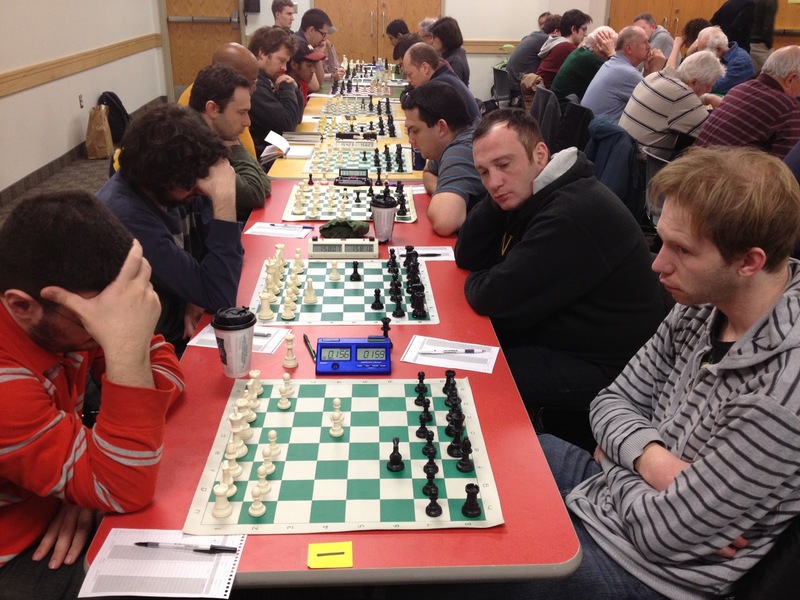 ﻿The event was played over 4 rounds of the Swiss system (G/60;d5) and in 3 sections: Open, U1400 and Unrated. There were 39 participants. A hefty sum of $800 in guaranteed college-funded prizes were awarded. In the Open section: $250-125; U1800: $100. In the U1400 section: $125-75; U1000: $50. In the Unrated section: $50-25. 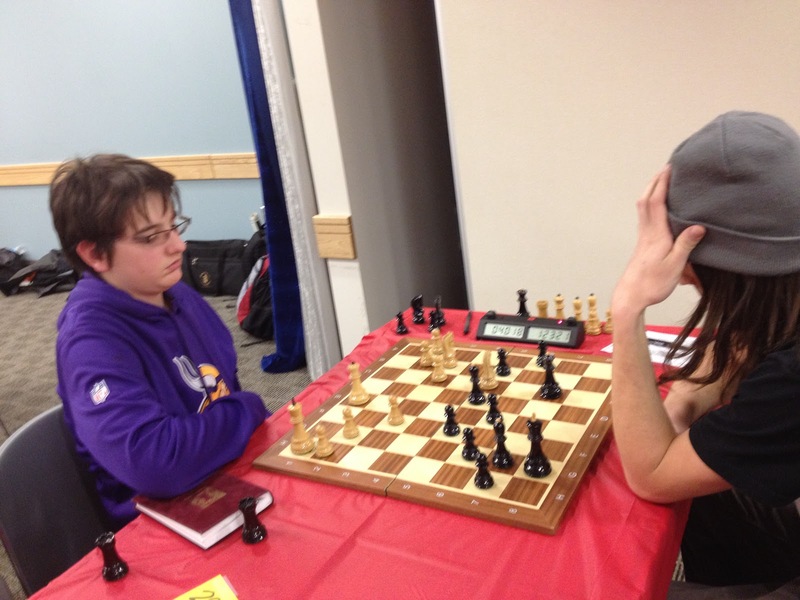 $500 in college-funded catered food was provided for the chess players. Nobody went home hungry! 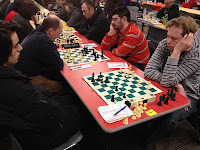 In the Open section, Rifeng Xia and Candidate Master Matt Slomski shared 1st place with 4 points. The U1800 prize was won by Jamshed Ahmed with 2.5 points. In the U1400 section, Nick Moscatello took 1st place with 4 points. Brad Schrock and Mike Lionti shared 2nd place with 3 points. 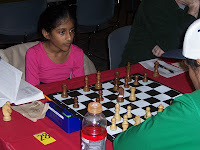 The U1000 prize was won by Arjun Ganesh with 2 points. Results of the Unrated section are not currently availabe to post in this article. Besides many Geneseo college students who participated, there was a large contingent from Rochester and Buffalo New York in support of the first chess tournament held by the Geneseo College Chess Club.. 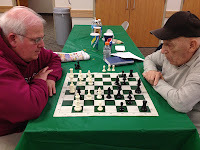 Both Ron Lohrman (of the Rochester Chess Center) and Tom Warner (from the Buffalo area) provided vans for transportation. 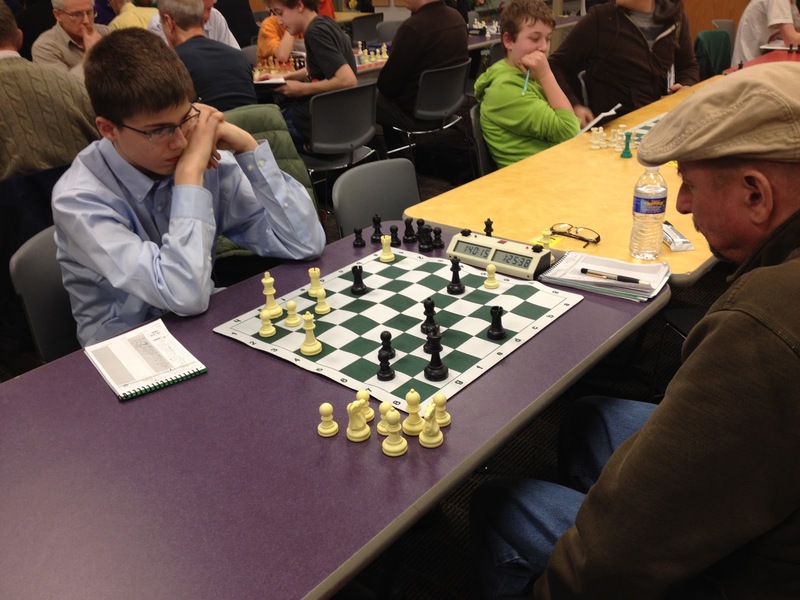 The tournament organizer and director was James Hiltunen, President of the Geneseo College Chess Club. 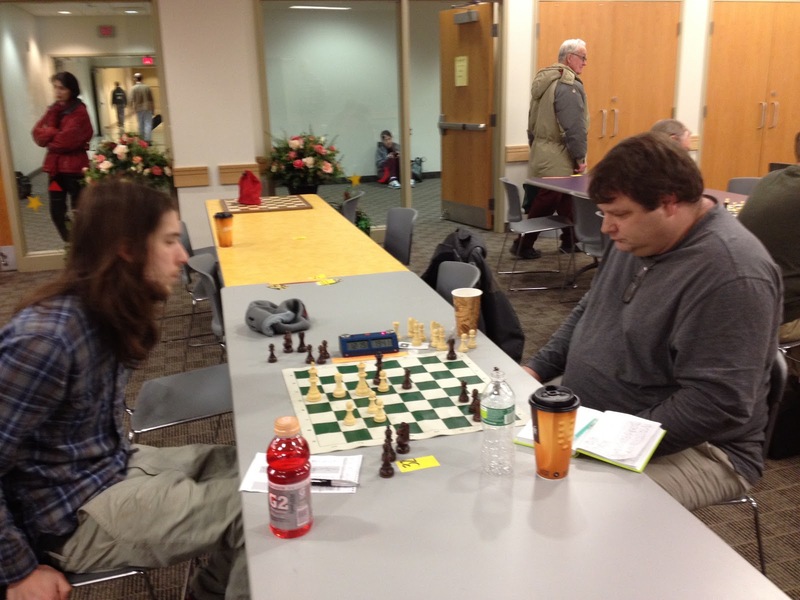 Other students who are in the Geneseo College Chess Club also helped James organize and run the tournament. 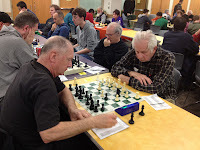 The 35th Annual Marchand Open, dedicated to the memory of Dr. Erich Marchand, took place on 23-24th March at the Strong National Museum of Play, One Manhattan Square, Rochester, New York. Dr. Erich Marchand "requested that his friends play chess in his memory". 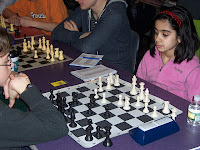 The event was played over 5 rounds of the Swiss system (G/120;d5) and in four sections: Open, U1800, U1400 and U1000. 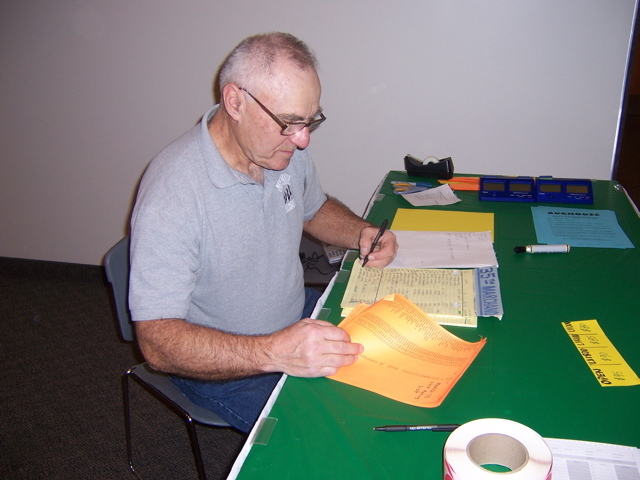 There were148 participants. 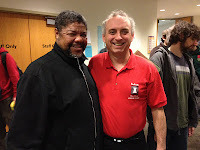 There was a strong showing of strength with several IMs and GMs in attendance. 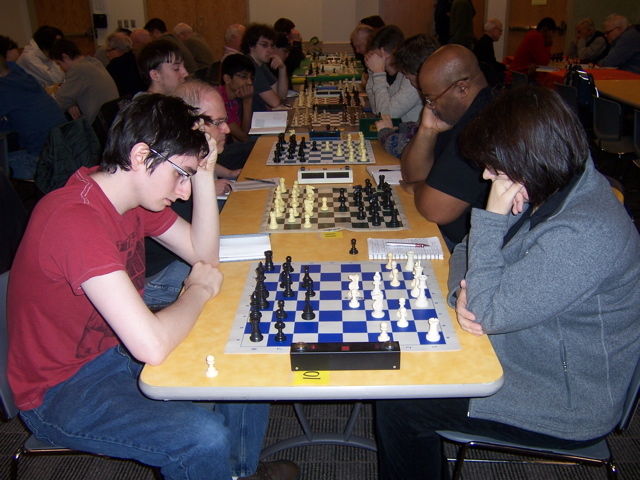 The huge field created big groups of players tied with the same score. 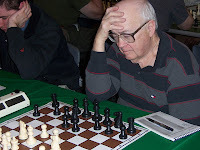 $10,750 in guaranteed prizes were awarded. Full standings below. 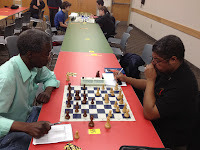 In the Open section, IM Bryan Smith and GM Mikheil Kekelidze shared 1st place with 4.5 points. 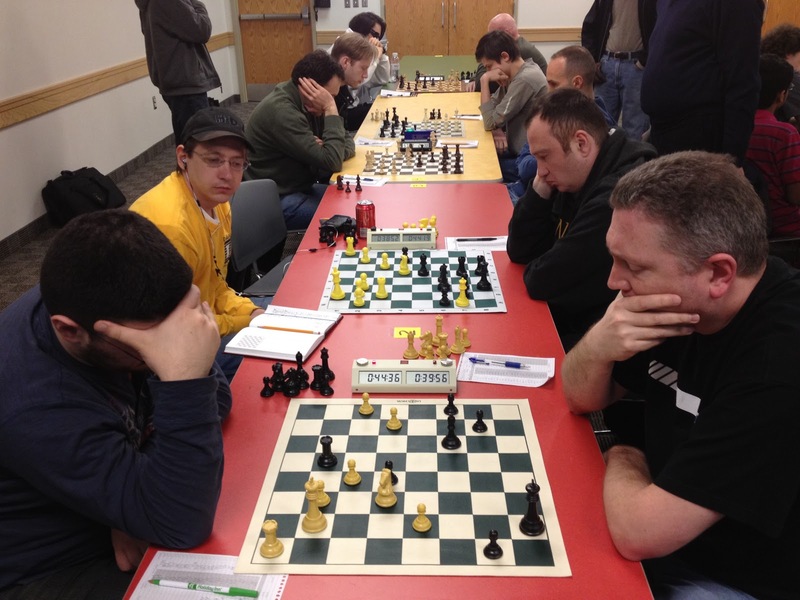 Matt Parry, GM Zviad Izoria and GM Eugene Perelshteyn tied for 2nd place with 4 points. Matt Slomksi, Felix Yang, Nick Panico III, James Hiltunen, Barry Davis and Jose Fernandez shared the U2200 prize with 3 points. Richard Motroni and Derek Linton shared the U2000 prize with 3 points. 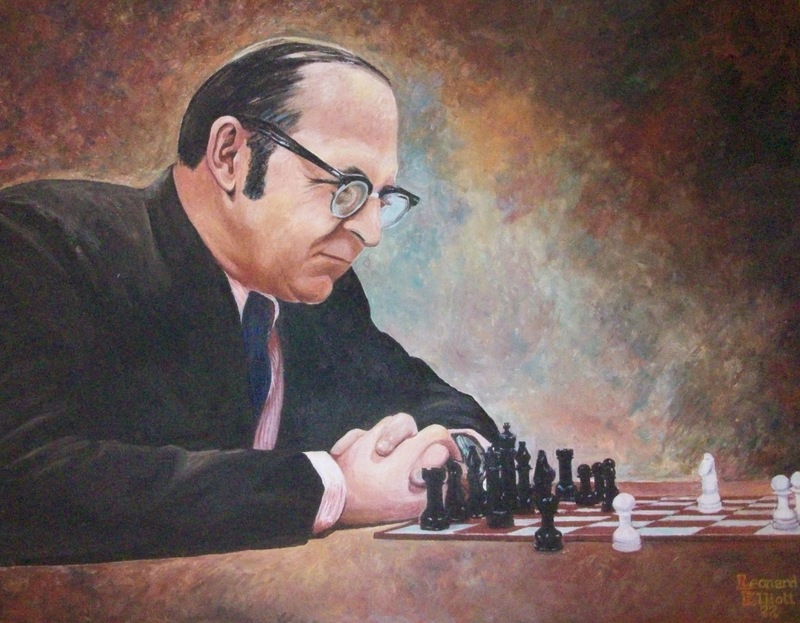 The Open section awarded 120 Enhanced Grand Prix Points and was FIDE Rated. In the U1800 section, Webster Kehoe took first place with 4.5 points. 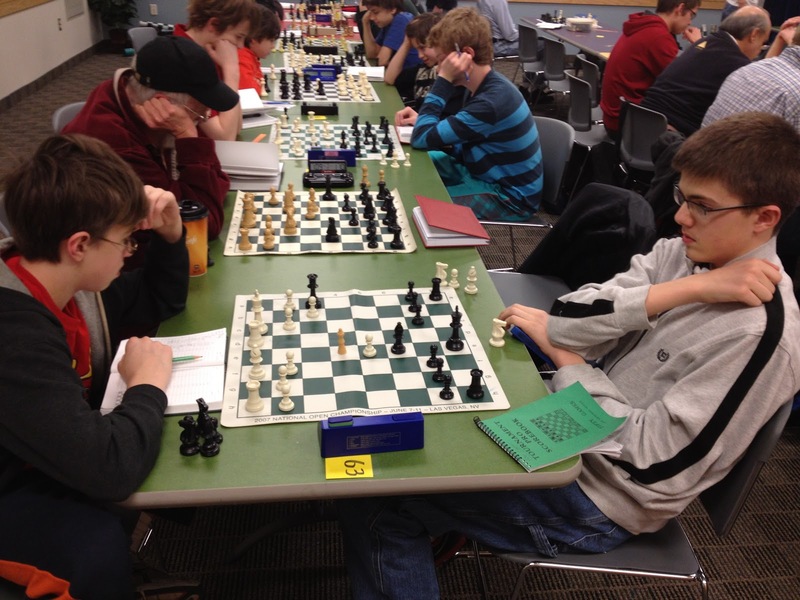 Warren Lohr, Kevin Roulhac, Owen Shriver, Connor Wagner and Patrick Robinson shared 2nd place with 4 points. 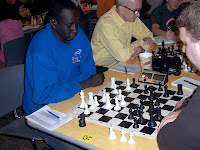 The U1600 prize was won by Aasa Dommalapati with 3.5 points. Shebaperi Brewster, Mike Trent, Sam Cherin and Chris Bieniek shared 2nd place with 3 points. 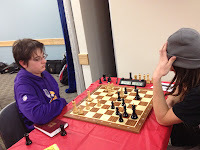 In the U1400 section, Matthew Rzeznik took first place with 4.5 points. 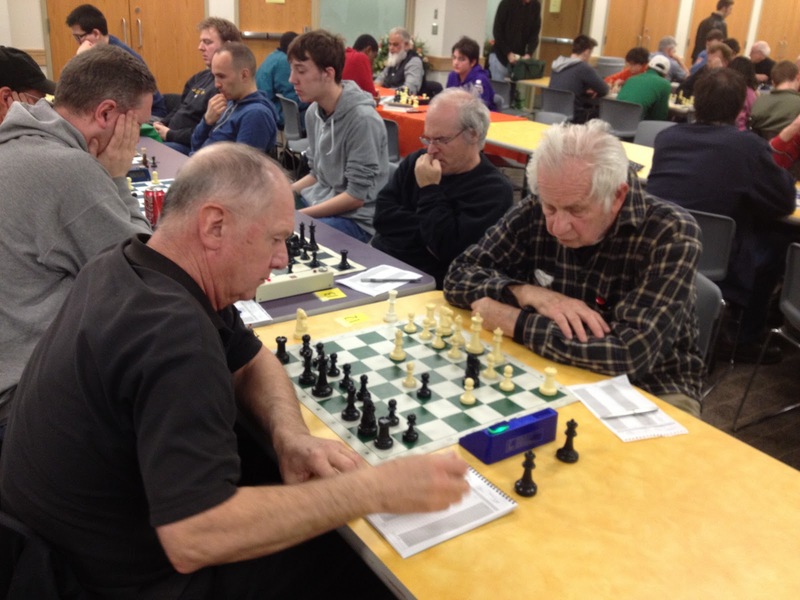 Steve Baer, David Markakis and Robert Pruden shared 2nd place with 4 points. 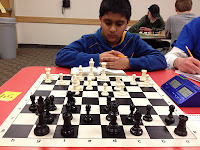 The U1200 prize was won by Anoop Sunkara with 3.5 points. Tim Keane, Stephen Hedges, Geof Williams, Joshua Benham and Michael Mc Duffie shared 2nd place with 3 points. In the U1000 section, Calvin Moulton took first place with 4.5 points. 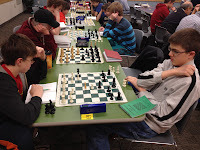 Griffen Hess, Pahz Cherelin and Eric Coltrain shared 2nd place with 4 points. The U800 prize was won by Alexander Chernjavsky with 3.5 points. Keith Kolacyzk, Arjun Patel, Zackary Bodack, Michael Gorczyca and Kristen Lehner shared 2nd place with 3 points. 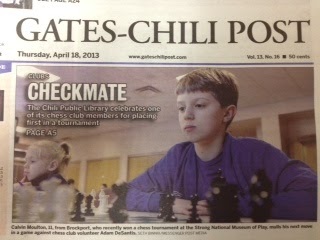 A recent Front Page photo from the Gates-Chili Post, New York. went on to take first place in the U1000 section with 4.5 points. Above photo is Copyright of the Gates-Chili Post. 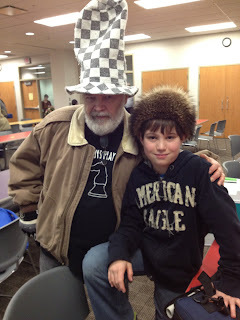 There were monetary prizes given. In the Open section: $2000-1300-850-550-300; U2200 & U2000 each $500-300. In the U1800 section: $600-400-250; U1600: $400-250. In the U1400 section: $400-275-175; U1200: $275-175. In the U1000 section: $260-190-130-70; U800: $150-90-60. An astounding 148 players participated. 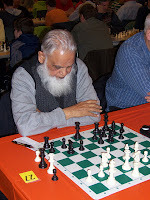 Besides the local players and a large contingent from Buffalo New York, the tournament had participants representing several countries including Laszlo Tapaszto from Caracas Venezuela and Jamshed Ahmed from Pakistan. 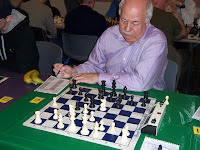 The tournament organizer was Ron Lohrman of the Rochester Chess Center. The tournament director was Ken McBride.